This move in ready home is cute as a button. Take a look at this stick built family home with space for the entire family. This split floor plan home offers a 2 bedrooms and 1 bath on each side of the home for a total of 4 bedrooms and 2 baths. Any interested buyer is advised to look into the permits of the additional living space. The kitchen is spacious with plenty of counter space. The inside of the home was recently all painted to it truly is ready to be lived in. 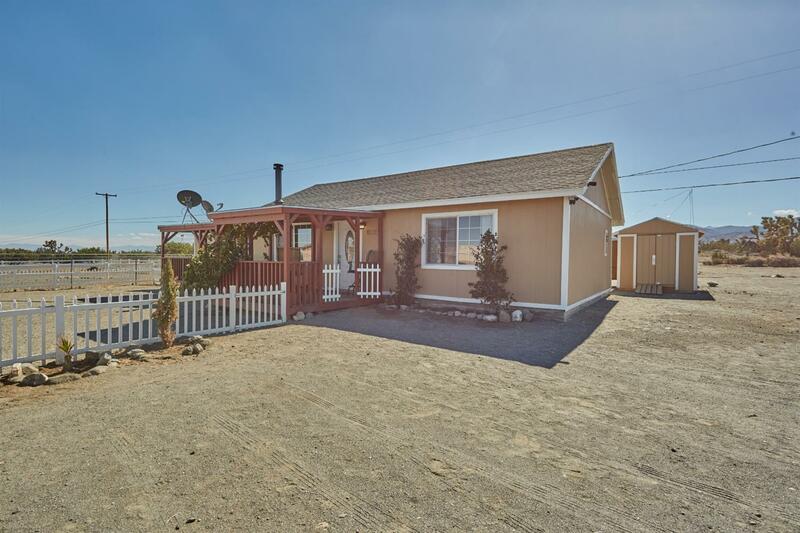 The double French doors lead outside where you'll find a sprawling 2+ acre parcel of land with an excellent views of the mountains to the south and a storage shed for tools and toys. Located in the Snow Line School District and zoned for horses you'll certainly want to add this home to your list.